Fall is here… but before long it will be a thing of the past. The winter weather tends to creep up quickly and stick around for longer than any of us would like. With cooler temperatures on the way, now is the best time to tackle important at-home tasks. One task that you can tick off of your to-do list this fall? An air duct cleaning. To get your home ready for winter, always start with duct cleaning services. Why schedule your air duct cleaning during the fall? Winter is known for thick layers of snow and slush. This can make it harder to perform a duct cleaning effectively – and without getting all of that slush and snow into your home. The hose connected to the truck outside will need to run from that truck to the inside of your house. That makes weather conditions especially important to consider. If you desperately need a duct cleaning during the winter months, opt for a day that is dry and without a fresh layer of snow outside. Otherwise, stick to the fall, spring, or summer months whenever possible. The truth? Fall is the ideal time of year to schedule an air duct cleaning. There is a good reason for this. Homeowners across the country begin to turn on their heating systems during the fall months. In order for every aspect of that heating system to work effectively, clean ducts are a must. 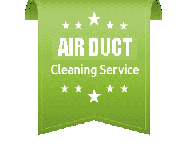 A duct cleaning works to remove built-up contaminants that can cause blockages or poor air distribution. When all of those built-up contaminants are removed, more warm air can be distributed to the rooms in your home. That makes it easier to heat the house – while slashing your monthly energy bill at the same time. Yes, the fall season is the perfect excuse to improve the circulation – and quality – of your home air. It is time to get your home ready for the winter season. So, start by asking yourself one important question: how long has it been since your last duct cleaning? Many homeowners go too long between cleanings. That can lead to a serious build-up of contaminants, like dust, dirt, pet dander, debris, and more. This build-up can affect the cleanliness of the air you breathe and how often you need to clean your home. Not to mention the extra money you will shell out on your energy bill. Since most of us spend more time indoors during the chilly months, it is especially important to keep your home running well. The solution? Schedule an air duct cleaning with Canaduct. The average home will require a duct cleaning every two to three years. If it has already been that long (or longer) since your last professional cleaning, now is the time! Make your home a priority this season. With fall here and winter on the way, there is no better time to start thinking: air duct cleaning. It has never been easier to get your home winter ready. Simply let a Canaduct professional remove any built-up contaminants from your ductwork. Everyone in your family will be able to breathe easier…. season after season. Is it time to get your home ready for winter? Contact Canaduct Duct Cleaning at: 416-410-3777. Our experienced staff members specialize in residential and commercial air duct and furnace cleaning.